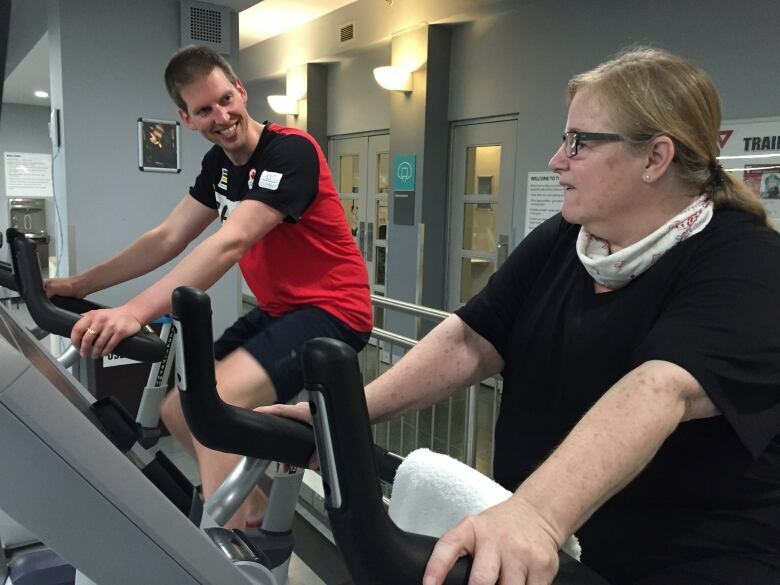 We paired Kate Wallis, who describes herself as 'over 50 and overweight', with Olympic silver medallist Jeremiah Brown. 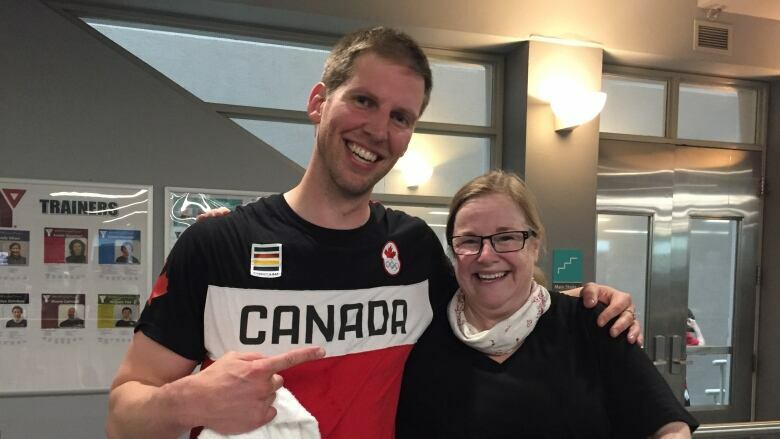 As a 'four-year-Olympian', he knows a little something about transforming your fitness. Be careful what you wish for when you fill out our Now or Never list. "I really need a change in my life," wrote Kate Wallis of Toronto. "I'm 50 years old and weigh 300 pounds, and I would like to be thin and fit." "I used to be a competitive swimmer in high school," she continued. 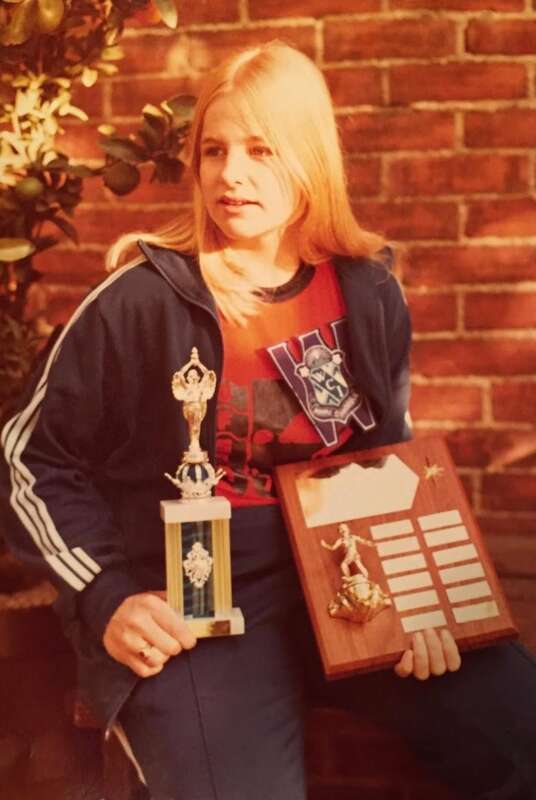 "And was even named outstanding athlete of the year in Grade 9. I would like to feel like that again." To help her, we decided to bring in reinforcements. We paired Wallis up with Olympic silver medallist and author of The Four Year Olympian Jeremiah Brown. He knows a little something about transforming your fitness. "I was a young father. I had been working a nine-to-five job," Brown said. "And I had an unlit fuse — I had this dream to become an Olympic athlete in rowing in less than four years." "It was the hardest thing I'd ever done in my life." "The book is an exposition on self doubt, if nothing else," he told Wallis. "Hopefully, people will read it and will feel some inspiration that maybe this is attainable or maybe at least they can begin." Wallis told Brown that she knows all about self doubt. "I need to feel self confident again," she said. "And I know the only way that's gonna happen is if I feel fit." Wallis has a goal of doing a "super sprint" triathlon, which is one-quarter the distance of a regular triathlon. She's given herself one year to lose weight and train for it. She's sharing updates about her training journey on Twitter. 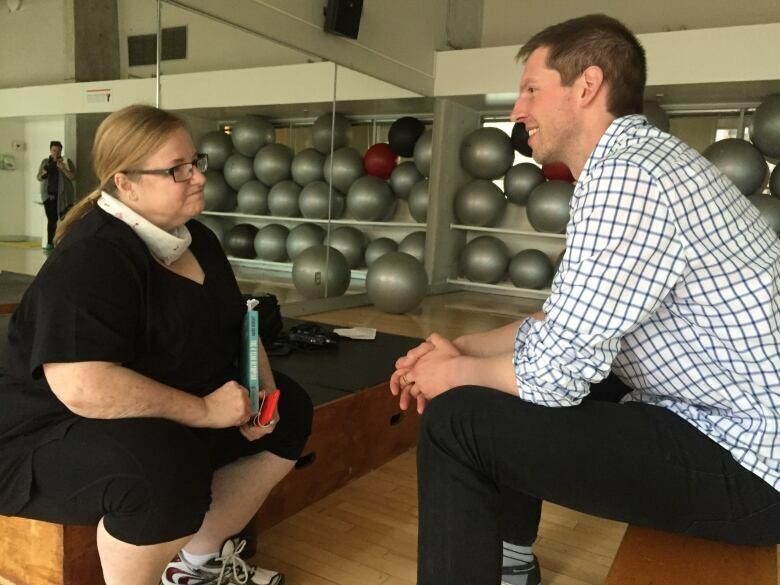 She and Brown met for the first time recently, at Wallis' neighbourhood gym, the Downtown YMCA in Toronto. It's familiar to Wallis, who has been a member for the past two decades. Wallis likes to start a workout by riding the stationary cycle. Swimming is where she draws from what she learned as a competitive swimmer in her teen years. Running is not her favourite thing to do. Ever the enthusiast, she got Brown to show her how to use the rowing machine as well. "Once an athlete always an athlete," said Wallis, "I want that familiar feeling of physical competence again." 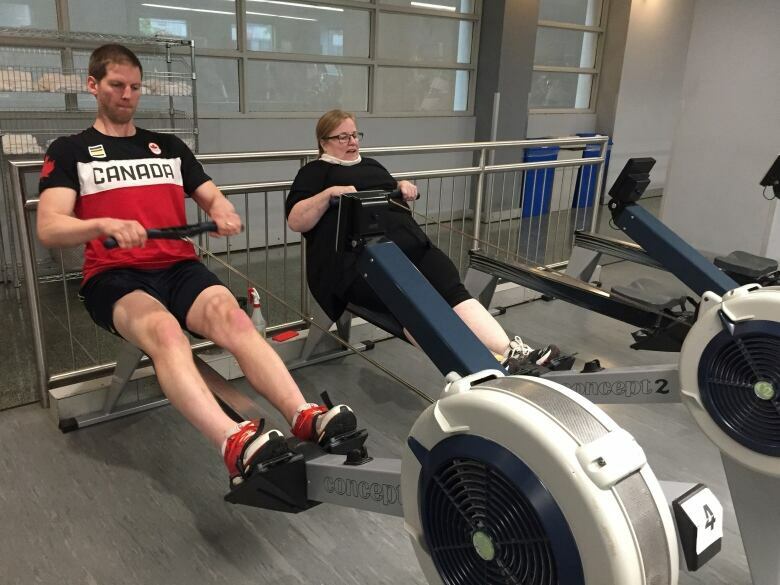 "When I listen to your story it takes me back to my first days rowing on the lake," said Brown. "The first three weeks on the national team; my first world cup with the Germans and British beside me; and just those feelings of inadequacy." "We're all trying to push through that, at different levels and at different times in our lives but the essence of what you're going through is the same as what I went through," he concluded. "It feels good to work out," said Wallis. "It feels good to have sore muscles. It feels like an accomplishment." "It fuels the next step forward, when it's difficult," she added. "I'm looking forward to being a fit, healthy person competing in a super sprint triathlon in a year. It's Now or Never for this!" FULL EPISODE: What knowledge are you passing down?